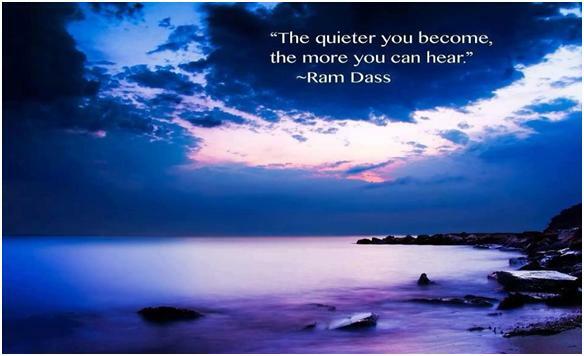 “Quietness is the absence of noise. Last week, I shared my opinion about the impact I believe race had on one juror’s decision making process in the Trayvon Martin trial. I did not ask you to agree with me, I simply asked those of you who did not agree with me to be willing to open your thinking to hear what you might be missing. There was a big response from people both in agreement and against, some of whom misinterpreted what I said. I believe that Juror B-37 is a person who tried to do her best. I think she believes that race played no part in her interpretation of the events, the ignorance of which inevitably influenced her decision to believe Zimmerman, and separated her from being able to relate to Trayvon as a teenage boy walking home with a bag of Skittles. But race is a prism through which people see things. It is inevitable and often we are not aware of it. However, there’s a price we all pay for unconsciousness. The blindness perpetuates tragedies, disregards facts, makes up information and like all truths ignored, and when justice is not served, leaves us all internally unsettled. I am sorry . 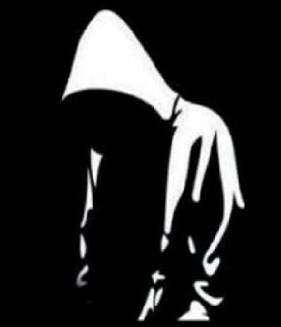 . . for Trayvon, an innocent black youth who was simply minding his own business, yet was targeted by an over-zealous, gun-wielding, self-appointed watchman who’s Life View filter decided Trayvon was “suspicious” and did not obey police instructions to stop chasing him. I am sorry . . . for Trayvon’s parents who have managed their extreme pain and loss with the most impressive dignity. I am sorry . . . for all African Americans who have to tell their children to watch out for police and private citizens with guns and to be careful to not walk too fast or walk too slow. I am sorry . . . for all the anger and fear that supports the Stand Your Ground Law (strongly endorsed by the NRA) that takes our humanity and civility away, giving a person blatant permission to aggressively hunt someone down and then when confronted, claim self defense and kill. I am sorry . . . for the racial unawareness and prejudge (conscious and unconscious) that continues to disregard and disrespect a large segment of our society. I am so very, very sorry . . . This is an important conversation and it must be had. If you understand what I am saying, then DO SOMETHING . . . share your awareness with others, engage in discussions, write to your Congressperson about the Stand Your Ground Law and other gun laws that have gone far beyond one’s right to defend and protect. If you do not understand the outrage and the pain that resulted from the verdict, if you do not think racial profiling is at the core of this case, I encourage you to sit down with some African Americans and ask them to share their views of what happened, and DO NOTHING . . . ABSOLUTELY NOTHING . . . but listen and try to understand. Until we discover what we don’t know we don’t know . . . we remain unconsciously ignorant and it hurts us all. Thank you to my good friend, Mikey Coyle for this moving image. …or so said his boss when he handed him his performance review. Adequacy? First of all, in this rapidly changing economy and the job market the way it is, competition has increased, and adequate isn’t going to hack it any longer. Being just an “OK” player isn’t going to keep you employed. Companies are now looking for those people who are willing to go the extra mile and are committed to do whatever it takes to forward the organization. Do you take full responsibility for the success of your organization, recognizing the role you play either adds/detracts from the bottom line results? But the poor guy above wasn’t even adequate. He had delusions of being adequate!! He was so unaware of how he was showing up, he had no idea he was as far behind the eight ball as he was. Don’t let that happen to you. Every day, consciously assess your behavior, actions, reactions and results. Don’t wait for your performance review. Proactively ask for feedback from your boss. Ask for the three areas where you could improve and share your commitment to do so. A 92-year-old, petite, well-poised and proud man, who is fully dressed each morning by eight o’clock, with his hair fashionably combed and shaved perfectly, even though he is legally blind, moved to a nursing home today. His wife of 70 years recently passed away, making the move necessary. 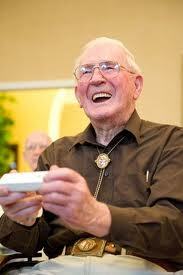 After many hours of waiting patiently in the lobby of the nursing home, he smiled sweetly when told his room was ready. As he maneuvered his walker to the elevator, I provided a visual description of his tiny room, including the eyelet sheets that had been hung on his window. 1. Free your heart from hatred.2. Free your mind from worries.3. Live simply.4. Give more. Have a happy day, unless you already have other plans. Thank you to my good friend David Reynolds for sharing this story with us. “…no one can be given the right to lead. What Gives a Man or a Woman the Right to Lead? It certainly isn’t gained by election or appointment. Having position, title, rank, or degrees doesn’t qualify anyone to lead other people. And the ability doesn’t come automatically from age or experience either. No, it would be accurate to say that no one can be given the right to lead. The right to lead can only be earned. And that takes time.